project for you? Find out now! Just fill out the form below with your first name and best email to receive a PDF copy our Easy DIY Murphy Bed Construction Guide”. You will receive an email shortly from easydiymurphybed.com in your inbox with a link to confirm your subscription. Please check your SPAM folder if you don’t see our email in your inbox. We respect your privacy therefore we do not share or use your email with anyone. 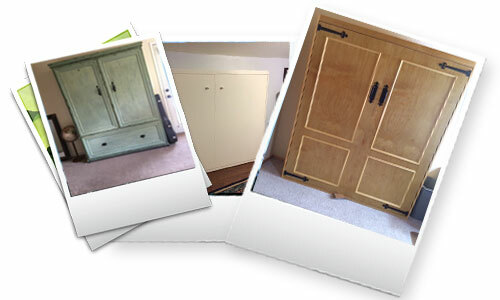 Check out some of our customers wall bed DIY projects! While you wait for our email why not check out our customer showcase and see how others have used our hardware kits to create their own wall beds in really cool ways.